Kirtan on Friday, Oct 27th! 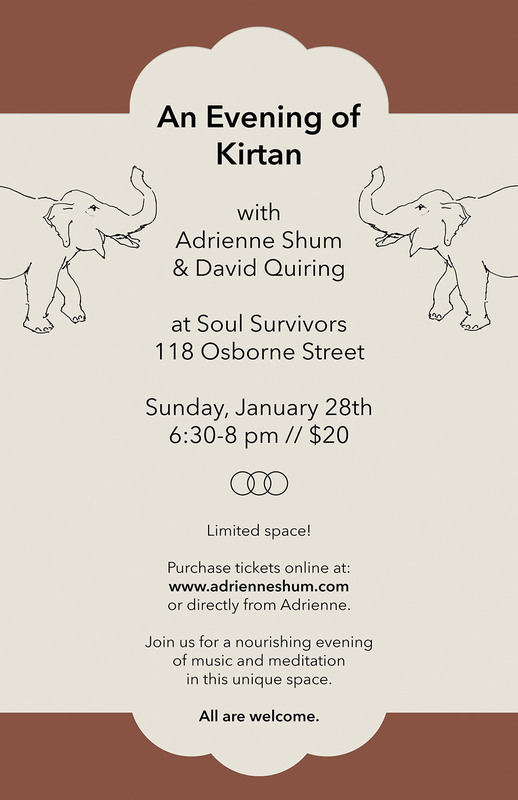 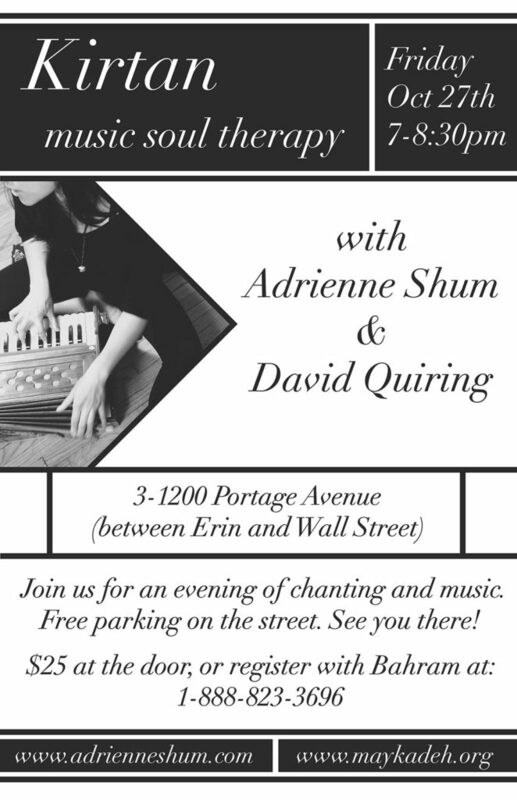 Join David and I for a Kirtan on Friday, October 27th (7-8:30 pm, 1200 Portage Ave, $25). 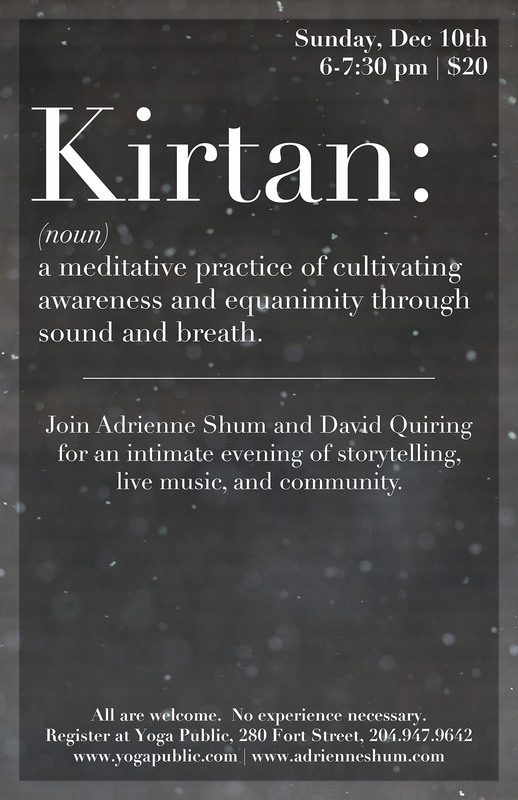 Let’s gather together as the weather gets colder and share in music and mantra.